The Sellers used the gap-up to their advantage to move the index down by more than 200 points from the top to end near the day’s low at 8647.75, huge loss of 128.25 points. The broader market was very weak, with just 362 advances to 1167 declines. Developing Range as per Option Table stays at 8400-9000. 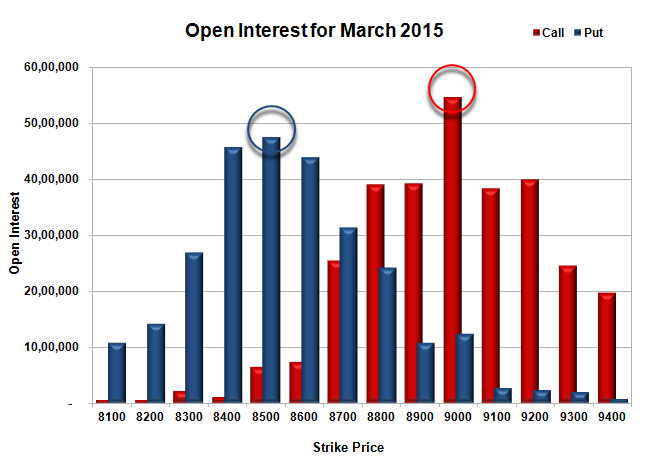 Call option 8600-8900 added huge 35.90 lacs OI with profit booking seen at 9200 and above strike prices. 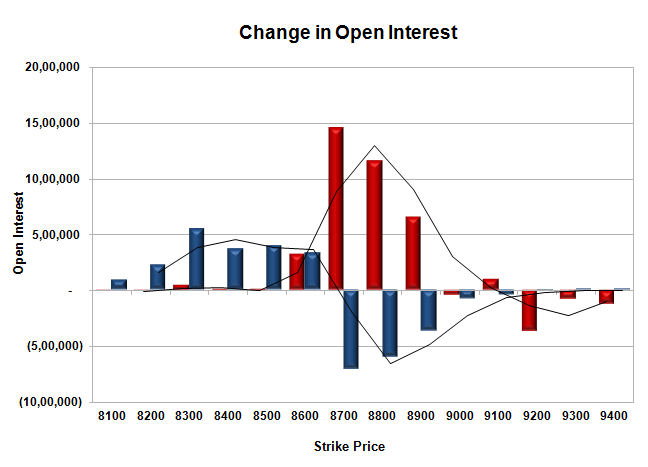 Put option 8600-8100 added huge 19.65 lacs OI with short covering seen at 8700 and above strike prices. Nifty Open Interest is at 2,46,79,775 down by 3,18,025, with decrease in price, most probably huge long liquidation. Bank Nifty Open Interest is at 25,37,150 up by 3,04,700, with decrease in price, most probably huge short build-up. FII’s sold 2.09 lacs Futures, which includes 1686 contracts long liquidation and 6672 contracts short build-up, with increase in net OI by 4986 contracts (includes 98803 longs to 107161 shorts for the day) and the Average Price comes to 8834.82. FII’s Index future open contract as on date is 795379 Longs to 122024 Shorts, net long 673355 down by 8538 contracts. Initial support down to 8600, with OI of 43.99 lacs and below that at 8500 with huge OI of 47.44 lacs. Initial resistance at 8700, with huge OI addition of 14.55 lacs and above that at 8800 with OI of 39.14 lacs. 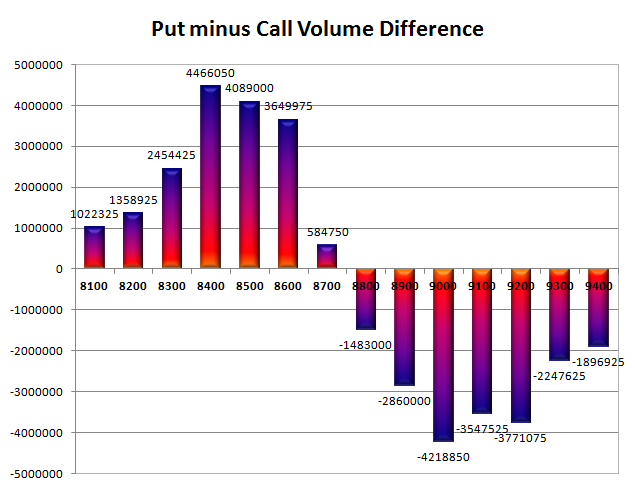 Day Range as per Option Table is 8602 - 8786 and as per VIX is 8580 - 8715 with 8710 as the Pivot.